» Blog Archive » Halloween party invitations â€“ ever so much more fun than something in an envelope! Halloween party invitations â€“ ever so much more fun than something in an envelope! Don’t you just love gettingmail that is NOT in a flat envelope (how boring)? I made these invitations for a family Halloween party. Â I bought foam pumpkins at the dollar store (I didn’t know if thereÂ were laws about sending fresh pumpkins, though I really wanted to give it a try! ), and used a really basic template to help line up the invitation wording and the placement of the mailing address (I’ve blurred out the names/addresses to protect the innocent). They were a little time consuming, and cost less than three dollars each to make (this includes the shipping). The look on the postal employee’s face when I dropped an armload of pumpkins on the counter in front of him was one of my favorite parts. Â And, btw, when I asked? 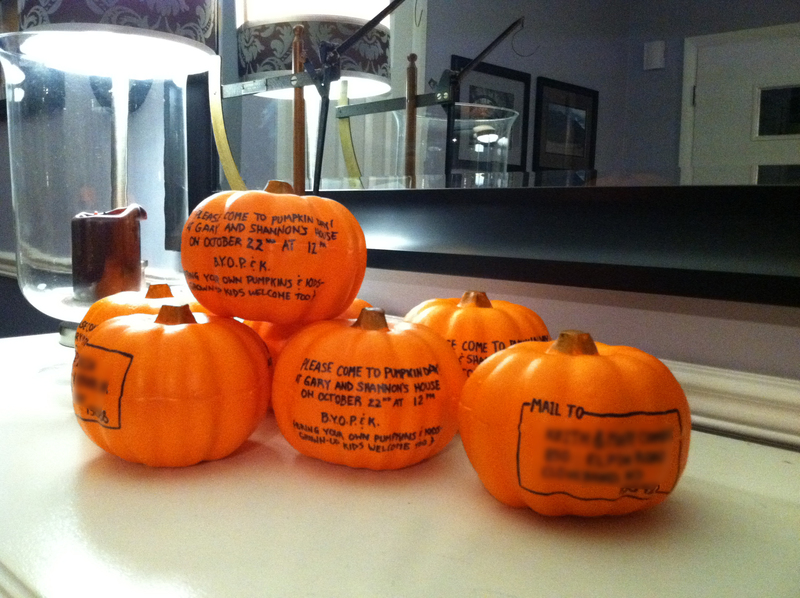 Â They said I could have mailed real pumpkins as well. Â Good to know! Very creative idea. I especially like the BYOP (Bring Your Own Pumpkin)! Let Them Eat Spaghetti and Meatballs Cake! 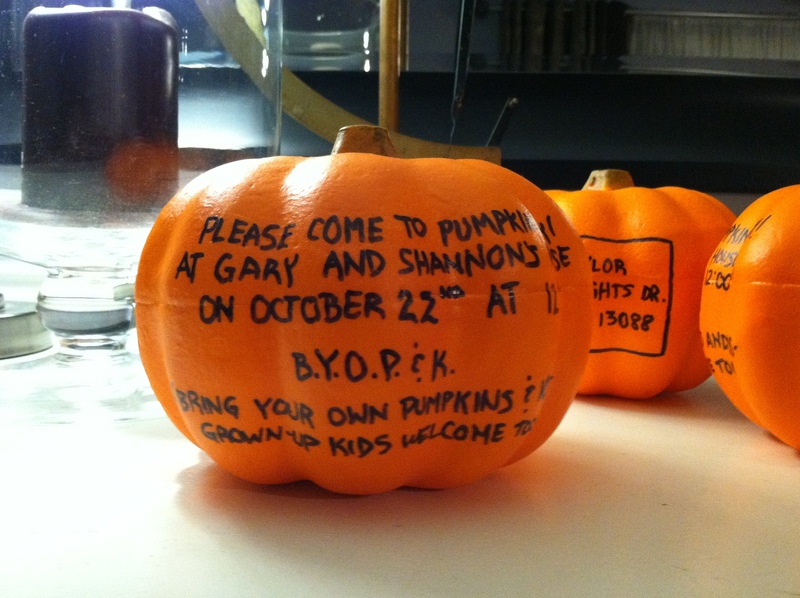 Gary on Halloween party invitations â€“ ever so much more fun than something in an envelope!